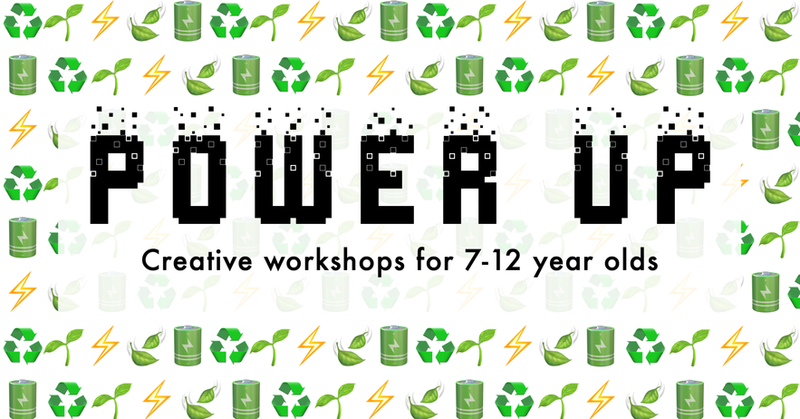 Power Up is a series of workshops for children aged 7-12 taking place in February at Lighthouse, which will explore how we consume energy and how that affects our planet. Power Up aims to show children how their imagination and creative thinking can make a real difference to the future of our planet. As part of the Power Up workshops on 20, 21, and 22 February, artist Melanie Terrade (UK) leads a hands-on workshop exploring how everyday technologies can be redesigned to be more environmentally friendly. Children choose a device and explore its current sustainability, before imagining how it could be redesigned. New solutions are created through a combination of drawing, Tinkercad software, and physical prototyping. The session encourage young people to think about the impact our behaviour has on the environment, and to get them to think creatively about solutions. Tickets: Pay what you can* (minimum £1). For more information on the workshops and to register, visit the website or Facebook event above. Re-Imagine Technology is part of Re-Imagine Europe, co-funded by the Creative Europe programme of the European Union. *Lighthouse wants these workshops to be accessible to all. Lighthouse is a charity, all donations and ticket fees support a programme of talks, exhibitions and education initiatives.